Travelling to another country to seek medical care facilities has a new name and that’s what is Medical Tourism. Although formally it is a relatively new growing industry, traveling for seeking apt medical care facilities have been happening since a very long time. 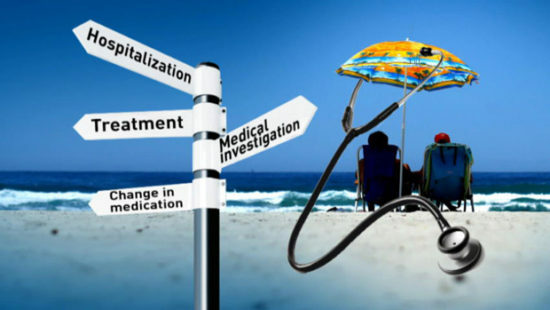 There are variety of factors which encourage medical tourism. While the people from less developed countries travel to relatively more developed countries in order to seek better medical care facilities, the people from developed countries like the United States travel to another countries to seek affordable medical care facilities. Furthermore, when it comes to health, no one likes taking risk. Hence, traveling to a country where the finest medical care can be availed seems the best and the most feasible option for many. Confidentiality is yet another reason why people migrate to other countries for seeking medical help. Some of the countries that are best at providing the medical care facilities to International patients include India, Thailand, Singapore, South Korea, United Arab Emirates, Germany to name a few. Of all these, India has been the most preferred choice of many International patients. 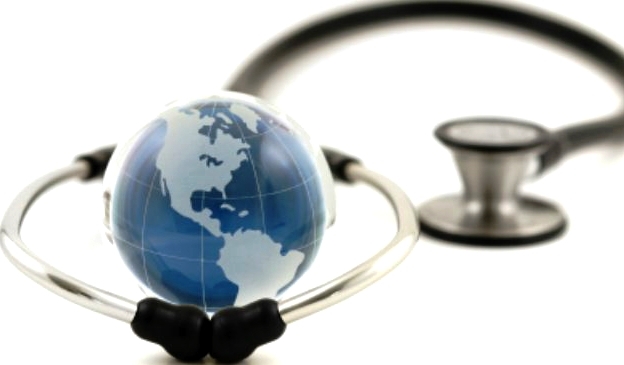 Medical tourism in India has been rapidly increasing. With the advancement of infrastructure and medical technology, it is only obvious that India is becoming a hub for medical care. Experienced and skilled doctors, state-of-art medical facilities and courteous hospital staff members make the medical tourists feel at home when they come to India. There are many JCI accredited hospitals in India which provide world-class facilities. Lower cost does not compromise on the health facilities. According to an estimate, the cost of medical care facilities are a tenth of the cost in United States which is why people who do not have medical insurances in United States often visit India to seek medical treatment. The doctors in India are also fluent in many languages thereby offering a complete package to the visitors. The visa-on-arrival in India for select countries has also been a great relief for medical tourist wherein a person gets a 30-day visa for getting the treatment done in India. Among the most sought after medical services in India are eye surgery, spine surgery, different types of bone and joints treatments, all types of cosmetic surgeries, blood vessel treatments, dental treatments, treatment for ear, nose and throat (ENT), organ transplant, cancer treatment to name a few. Apart from the medical procedures, medical tourists also visit India to seek therapies like ayurveda, yoga, naturopathy, panic healing, homeopathy, aromatherapy etc. There are many yoga centres like Isha Yoga Centre, Yoga Centre by Patanjali in India that attracts professionals from across the world who are seeking an experience of a lifetime. Further, there are many hospital chains in India that offer world-class medical health care facilities. Some of these include Max, Fortis, Apollo, Medanta, Escorts. However, finding the most efficient doctor-hospital combination is a task in itself. This is where the medical tourism service providers or the medical tourism companies in India helps. Being a complete novice in another country, often the medical tourists gets confused and finding the best doctor-hospital combination will also be a very time-consuming task for them. Hence, they should always seek help from one of these service providers. There are many companies in India that have collaborations with doctors, hospitals, and the chains of hospital across India thereby forming a pan India network. These companies help in mapping the medical help seekers with the most experienced doctor and hospital in their preferred cities. Apart from it, some of these companies also helps in easing the travel hassles and arranging for the stable accommodation for the family members. Moreover, after the treatment gets complete, the patient has a choice of recuperating in the hospital itself or at a paid accommodation nearby. These companies also help in fast-tracking the cases so that the waiting time can be reduced and the treatment can begin as soon as possible ensuring holistic healing. In India, the doctors strive their best to completely heal the patient rather than just completely a medical procedure and treating the disease. Apart from Chennai which is also called as the health capital of India, the cities like Kolkata, Hyderabad, Bangalore, Mumbai and the National Capital Region have also been living upto the title of the cities with the medical hub in India by facilitating the medical tourists with everything they need.